I’m starting to think that WIP It Wednesday may have to be put on hold until after the move…unless someone can locate my lost mojo. Because I felt bad about not posting pictures in the last two weeks. 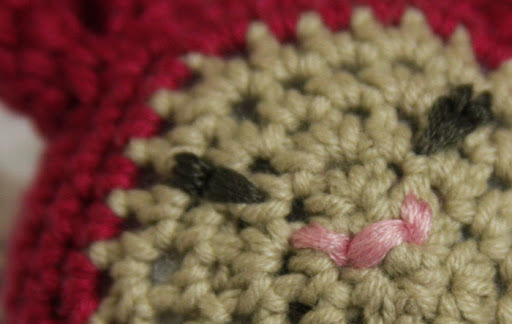 There are full pictures on my Ravelry project page. when I’m not really knitting. Sorry, kittens. A knitting slump, I haz it. And once again, Wednesday sneaked up on me. Where is the time going? No pictures tonight; there really wasn’t any notable progress that would be interesting to look at. I did make another 3/4″-ish headway on the ugly socks after three weeks of no work on them. And I’m working on the front panel of my sweater: miles of stockinette. 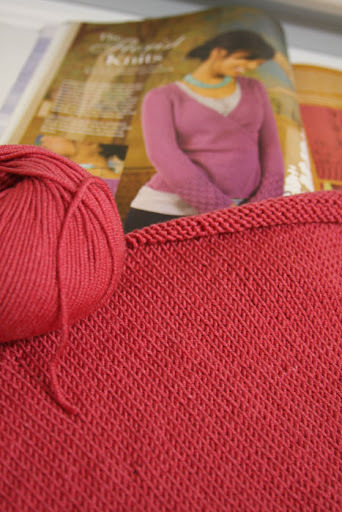 I have a mystery project on hook that I’m debating if it will be gifted or not. As written, it’s a bit wonky for me, but that likely is my fault, as I’m not much of a crocheter yet. I may alert my friend to the pattern instead and call it a day. I’ll try to do a post with pictures in the coming few days! Holy smokes, kittens! April is flying by. It seems like I just did my last Wednesday post, and here it is, time to WIP it again. There’s only one project that I’ve worked on in the last week, same one as last time: Silk Cocoon Cardigan. I have to admit that I have not been that into knitting this last week. I am working at a much slower pace and have been spending my spare time playing Nintendo DS games or dinking around on an avatar forum I enjoy. I’m quickly boring of those and suspect that I’ll be back on knitting soon. Despite my slow down, I’m enjoying this knit and can not wait to see it finished. 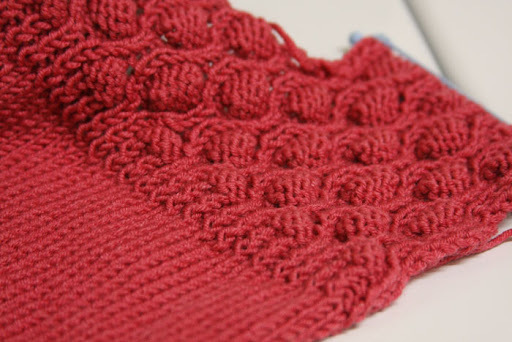 Connie’s patterns never fail to yield a fantastic, wearable FO. I have already been imagining outfits I can make with this one. The only thing is that her patterns tend to be involved and have many things going on at once. One really needs to read ahead and keep alert, or she’ll miss a direction. So far, I’m chugging along just fine and no mistakes that I’m aware of. The only thing I want to complain about is this. 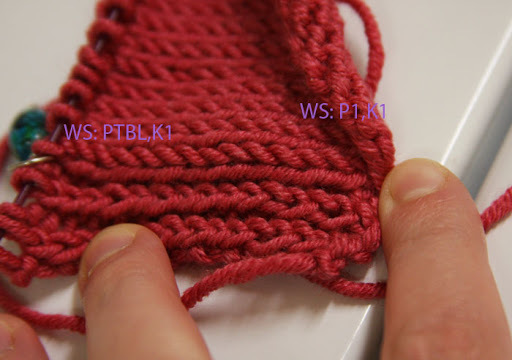 Why do knitwear designers always insist on doing twisted rib with (P1,K1) on the wrong side? As can be seen in my photo–I hope, anyway–this results in a wonky, funny looking ribbing. I can never get consistent stitches that way. After a few rows, I decided to do twisted rib the way I prefer, with (Ptbl,K1) on the wrong side, giving a much cleaner ribbing. Does anyone else have these issues with twisted rib, or is it just me?